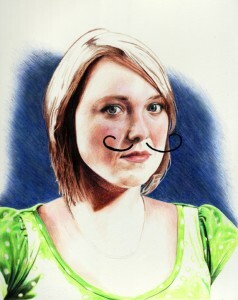 Heaney threads the common theme of momento mori throughout her works, and ties everything together using hyper realistic drawing techniques that combine classical training with contemporary thought. 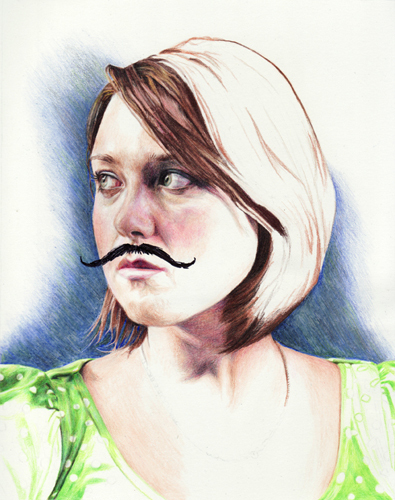 Her current body of work is broken into a number of separate series, creating understated whimsical and sometimes humorous anatomically correct pieces. 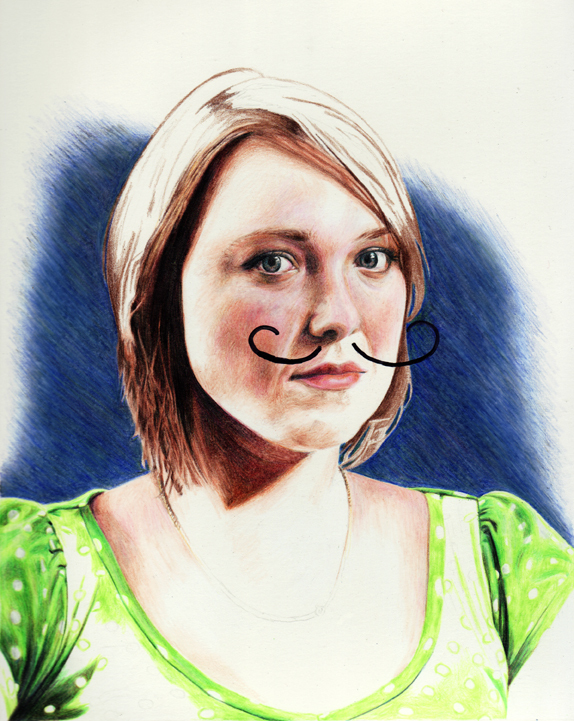 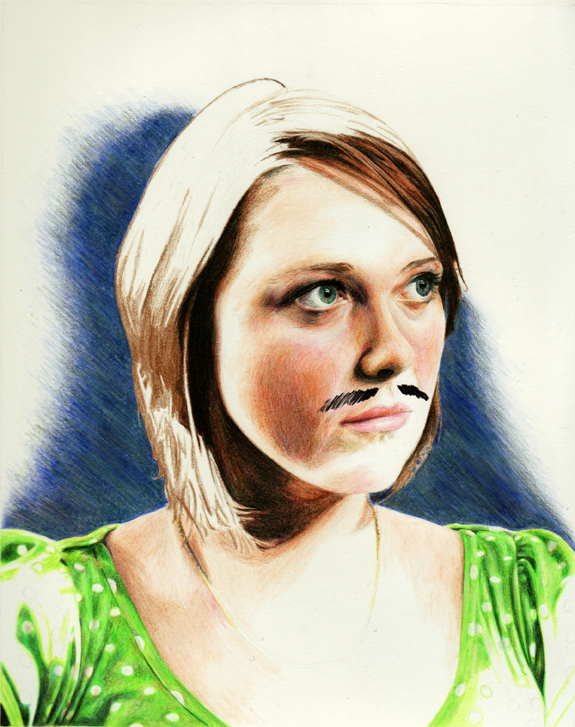 Pictured above are Heaney’s self-portraits, “Laura with Facial Hair” (an extension of the Men with Facial Hair series).